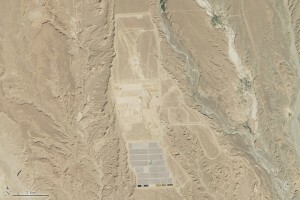 Morocco’s Noor 1 plant can be seen from space, as shown in this NASA photograph. What role did the AfDB play in securing financing for the project? Breteche: Since 2009, the AfDB has assisted Morocco preparing its investment plan under the Clean Technology Fund (CTF), one of the Climate Investment Funds funding windows, focusing on installing 2,000 MW of solar energy capacity by 2020 by developing the Noor Solar Complex. The Bank was responsible for channelling part of the concessional climate funds earmarked for the country’s solar energy plan. In June 2011, the CTF approved $197 million in financing for the project, including $100 million obtained through the AfDB’s own resources. AfDB was the larger financier in debt for Nooro1. The mobilisation of climate funds has had a significant impact on lowering the cost of producing electricity from the NOORo I solar power plant and has therefore improved the attractiveness of the project. What role did the AfDB play in managing the project? Particularly, how did you coordinate discussions between the Moroccan government, funding and technical partners? Moussa: In order to implement the project, a consultation mechanism was set up involving the Moroccan Solar Energy Agency (MASEN) and all donors. MASEN organised several consultation meetings which gathered all donors on matters relating to disbursements and overall project progress. On average, two project supervision missions were organised between 2013 and 2015. These missions gathered all donors, MASEN and the ACWA Power Ouarzazate Solar Project Company and provided the opportunity to review the overall progress of the project in terms of communal infrastructure and resource mobilisation.